Having reliable air conditioning and heating makes all the difference when trying to maintain a comfortable home or business in Lantana. Cote’s Mechanical understands this, which is why we offer around-the-clock heating and cooling services for residential and commercial customers in the Lantana area. Whether you’re looking to upgrade your HVAC system or need emergency repairs on the weekend, we’ve got you covered. Our team of HVAC technicians has all of the equipment, tools, skills, and knowledge needed to provide your home or business with prompt, high-quality service. At Cote’s Mechanical, our team offers installation services for A/C and heating systems, as well as repairs and replacements if you have damaged or worn out equipment. You can also count on us for regular maintenance to keep your HVAC system in top condition. Our company offers affordable prices, 24/7 repair services, and a free service call with all repairs, making us the place to turn to for the best A/C and heating services in Lantana. When your A/C breaks down during a heat wave or you need to find a more energy-efficient furnace for your Lantana home or business, you can depend on Cote’s Mechanical to help. With our team of licensed professionals on hand, you’ll have steady heating or cooling to keep you comfortable. We provide prompt service for all your needs – whether you need a new HVAC system or unexpected repairs done on your current HVAC equipment. Cote’s Mechanical strives to ensure that each of our customers receives the highest quality customer service – whether they need routine maintenance, a new installation, or emergency repairs. Our dedication to providing excellent customer service has helped us build a solid reputation in the Lantana area. Our team, which includes co-owners Cote and Kristi Wyatt and dozens of skilled technicians, has been providing heating and cooling services to local customers since 2001. Since we remain fully committed to offering the best service, we make sure that our technicians have the training they need to provide it. 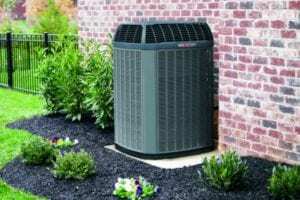 This includes maintaining certification as a Trane Comfort Specialist and being accredited by the Air Conditioning Contractors of America (ACCA). Angie’s List has recognized Cote’s Mechanical for our superior service with a Super Service Award. Our company is also proud to have an A+ rating from the Better Business Bureau (BBB). You don’t have to take our word for it when it comes to the outstanding service we provide; this commitment is reflected in our customer reviews, which include several comments about our reliable service. Customers have been fully satisfied with the customer service we provide, especially when their air conditioning stops working in the middle of summer. Our technicians have been praised for being knowledgeable and providing fast service. Average household incomes in Lantana are much higher than the national average. Residents in Lantana have an average household income of $142,375, compared to the Texas average of $54,727 and the national average of $55,322. Roughly 6,874 people live in Lantana, which is a master-planned community. Lantana is located just 20 minutes south of Denton via FM1830. Dallas is just under an hour away via I-35E S, while Fort Worth is about a 45-minute drive away via I-35W S.
Lantana residents have access to extensive biking and hiking trails that cover 300 acres of green space. Residents can attend Music on the Green and other special events at the Town Green, go swimming in neighborhood pools, cool off at the water spray park in the South Amenity Center, and play tennis at the Tennis Complex. Those who enjoy golf can join Lantana Golf Club and play on a championship course. Residents who are interested in keeping Lantana beautiful can join Lantana Cares, a volunteer group that cleans up the community. When your A/C breaks down or you need to start looking into getting a new HVAC system, Cote’s Mechanical is here to help. Please contact us for heating and cooling services for your Lantana home. 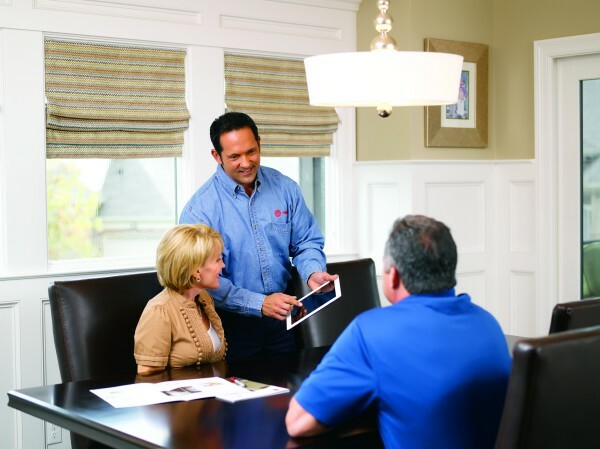 Our technicians will ensure that your home stays comfortable all year round. Wonderful service. Our technician answered all questions and was very professional. Will definitely refer to friends. Absolutely wonderful and very knowledgeable!!!! Cleared condensate drain on Rheem AC unit. Replaced contactor on Goodman AC unit. Replaced 60/5mfd dual run capacitor and system is cooling properly. Replaced capacitor on Trane AC unit. Added leak seal and 410a Freon. Replaced capacitor on Goodman AC unit. Unit is back up and cooling. Replaced capacitor on Amana A/C unit. Cleared condensate drain line on Goodman air conditioner. Repaired leaking schrader core on Goodman ac unit. Replaced capacitor on Goodman AC unit. Unit is now cooling.